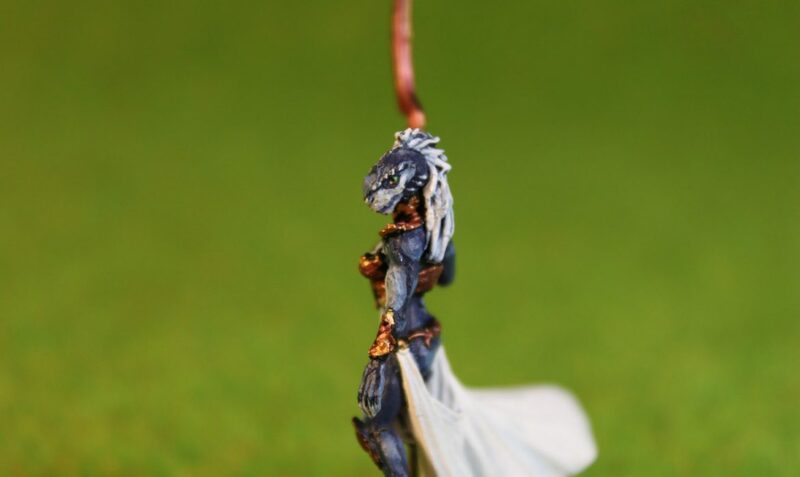 This “Dragonman” from Reaper is one of those rare cases where I buy a miniature without a planned purpose. I simply thought it looked great as a Half Dragon. I’m sure he will find his way into our campaign. 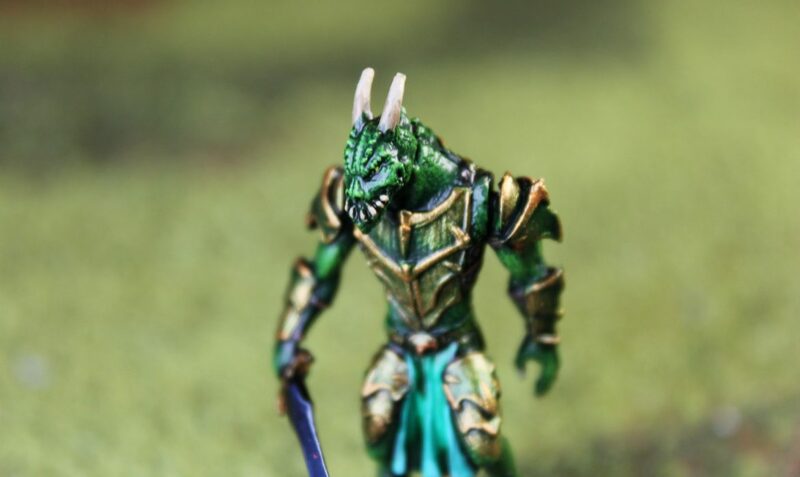 I have to be honest, I am a really big fan of Darksword Miniatures, but this Dragonkin Warrior is my least favourite of their Dragonkin minis. 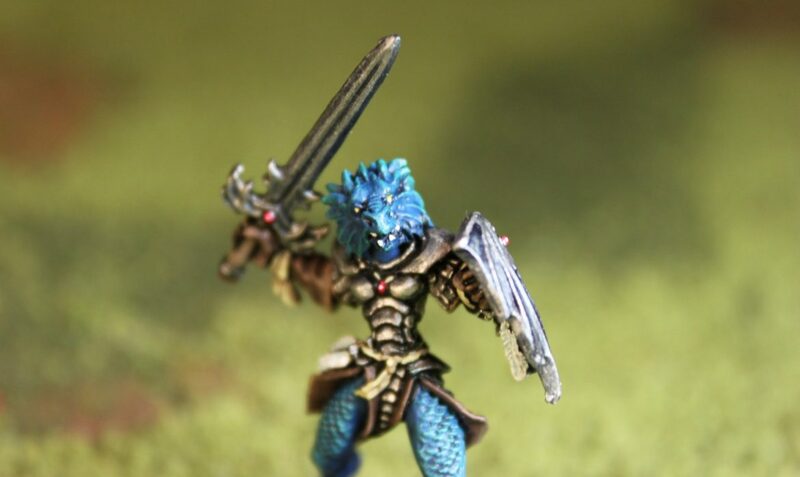 But I wanted a full set of their Dragonkin minis which I in general think are awesome. I ordered it. And the day after they revealed a new much cooler Dragonkin warrior… nothing is ever easy! Quite like the green reptilian feel he has ended up with. 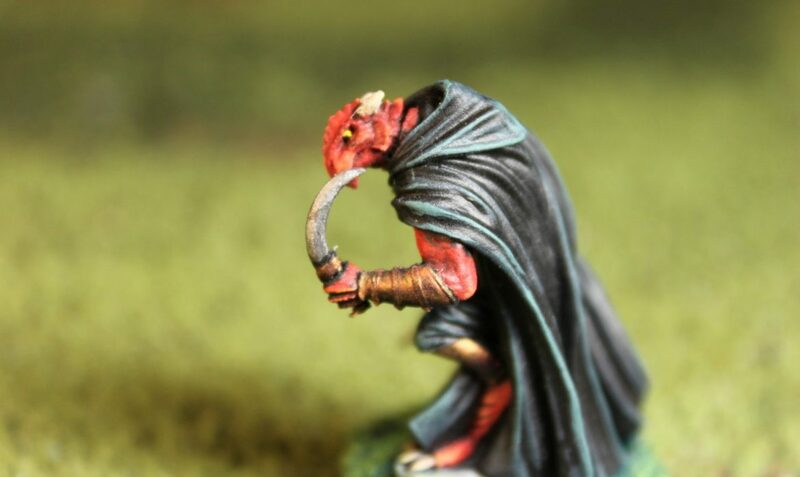 Anther mini from the box my fiancée got for me when we started playing D&D at the start of 2018. I grew up with Dragonlance so Draconians (whether they are called Dragonborn or Dragonkin or whatever) are a favourite race of mine for sure! 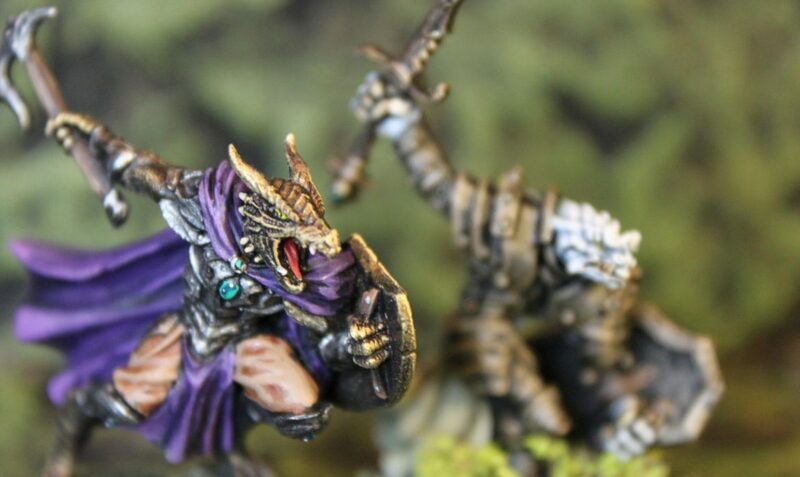 In fact, writing this I think my top 5 races are: Hags Draconians Goblins Minics Beholders or Skeletons I like the mini and happy with the paintjob, but I do think my favourite Draconians are from Darksword Miniatures. 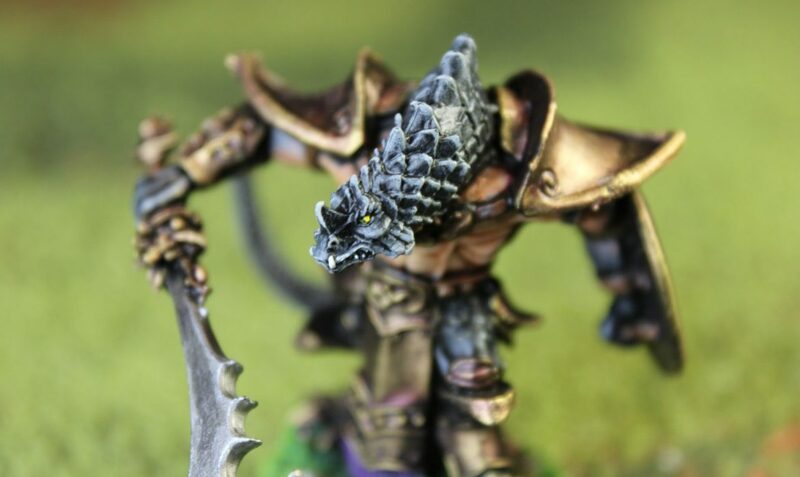 I think this amazing Dragonkin is a good example of why I like Dragonkin from Darksword miniatures rather than for example from Reaper. I was originally thinking of painting his skin black or dark blue to really be a camouflaged Rougue, but then I thought it would be much cooler to make his skin brighter so I opted for a red dragon heritage. it also contrasts nicely with the dark cloak.